I have had a love affair with blue and white for as long as I can remember. 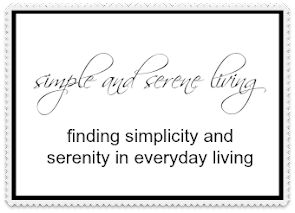 It always leaves me feeling serene. Maybe it is because I love a sunny day with a blue sky and white fluffy clouds. Whatever the reason, I always gravitate towards it. or a cupboard filled with an assortment of dishes. 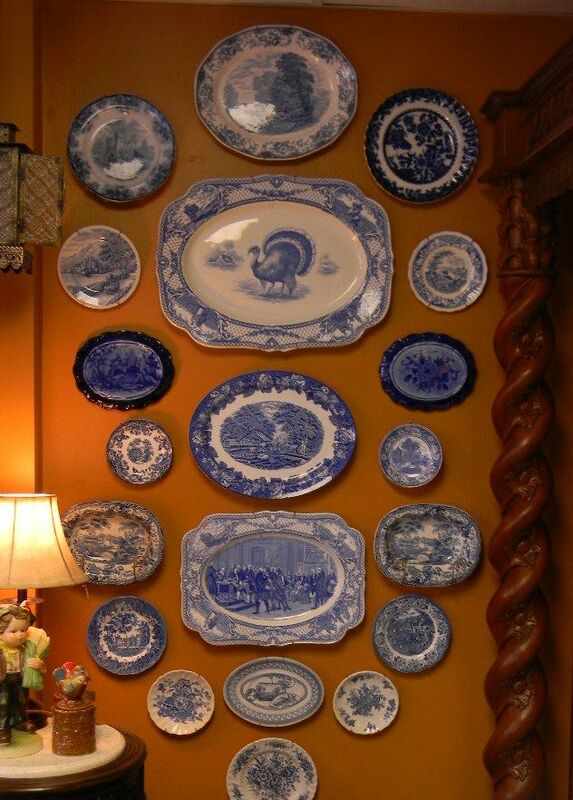 or just a collection of plates. 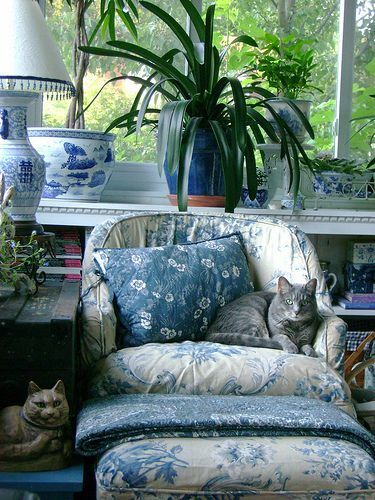 I would love to sit and read in this cozy blue and white spot, although it looks like someone may have beat me to it. 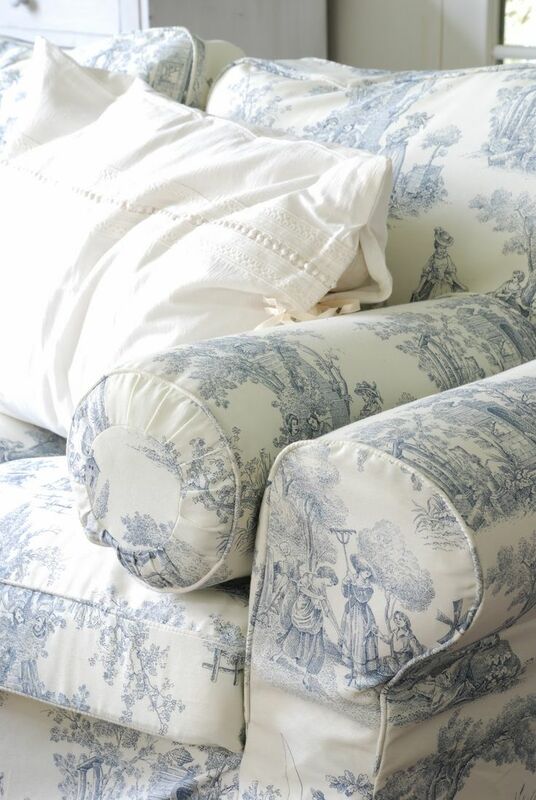 The subdued blue and white of this sofa is fabulous. and then send me off to dreamland here. Something tells me I would have no trouble falling asleep. So what colors are you dreaming of for your decor? P.S. 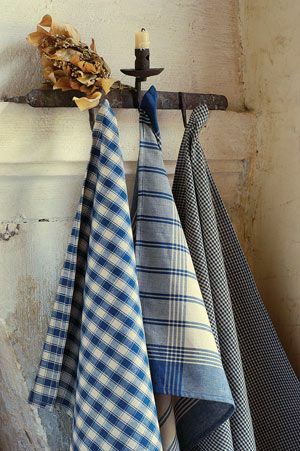 Check out my blue and white Pinterest board here. Laura, I always find blue and white so calming! I love Pink in my bedroom though! That toile sofa is just stunning. 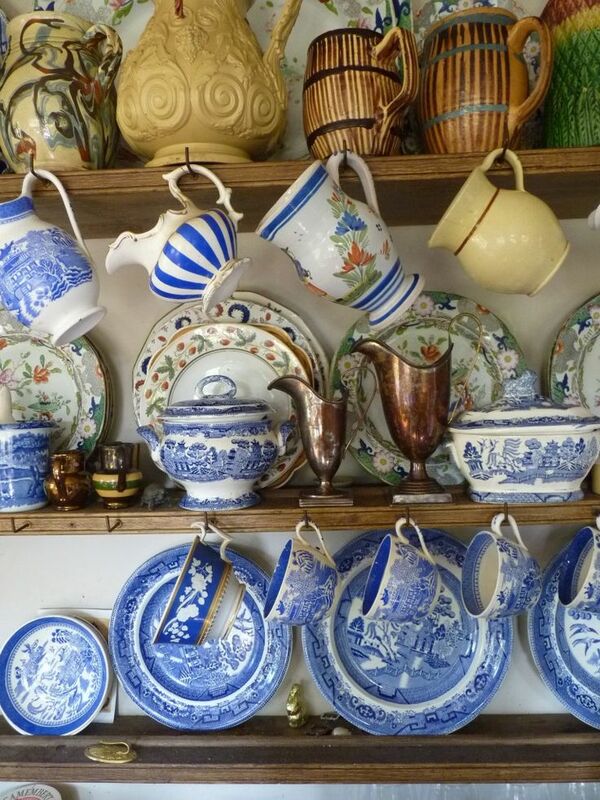 I have always love the blue/white dishes. I have been collecting blue and white transferware plates for a very long time. I love them. 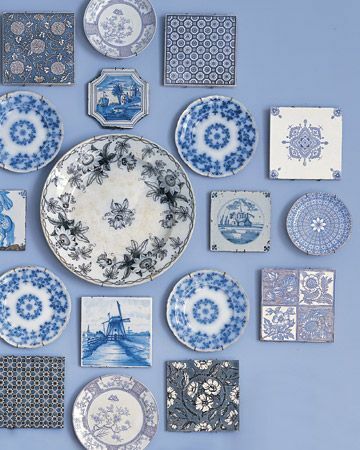 I love blue and white and wish it would fit in my decor. 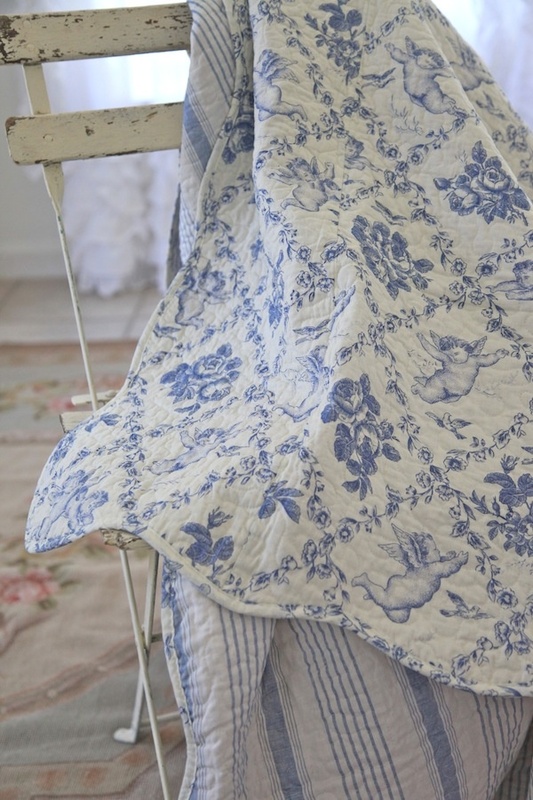 I love blue and white china and linens so I can add them in where possible. These are beautiful images. So fresh. Thanks, Pam. It's nice that you are able to add pops of blue here and there. You know, Laura, I never had a single blue thing in my house. A couple years, ago, however, I decided to do my kitchen pastel yellow with blue. I love it! I really got into pretty blue patterned dishes, too. Now I love that combo. Loved your photos, too. Susan p.s. My favorite color is pink. Very pretty! 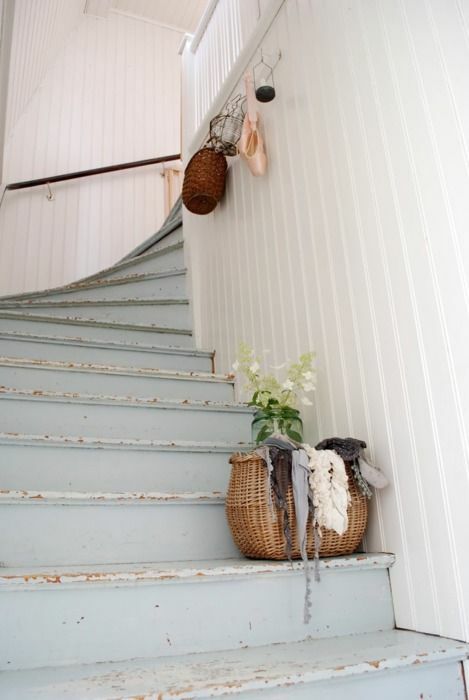 I have seen blue and white in many homes, especially traditional, Always love it. And yellow goes so well with it. Just my view! 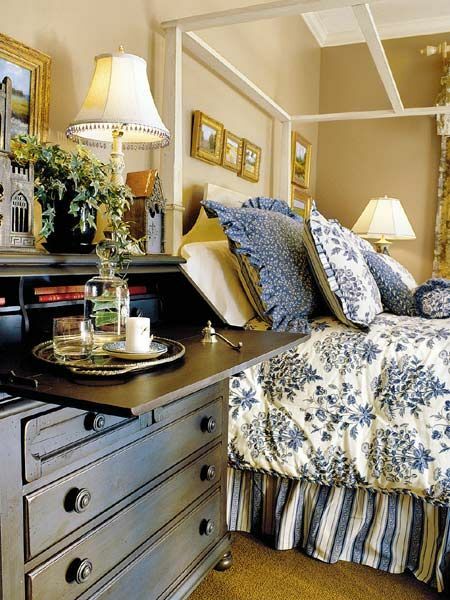 I am in love with the chaise...looking for one myself. Had to Pin it. I have to agree, Laura. Blue & white is a favorite color combo of mine too. At one time, I didn't have a single blue anything in my home, now I find I'm always gravitating towards it.